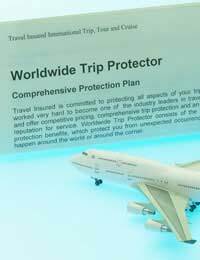 Many people fall into the trap of taking out travel insurance policies which do not cover you for dangerous activities and pastimes e.g. ski-ing, sky diving, scuba diving, mountaineering…the list is endless. And, the irony is that because there are inherent risks associated with these kinds of activities, it’s often the people who participate in them that are potentially more likely to suffer accidents that require medical treatment rather than your typical holidaymaker and these costs, if you’re not insured, can result in many thousands of pounds. These days, many of us look upon a holiday as something far more than simply soaking up the sun and visiting a few tourist attractions and, increasingly, a sense of adventure has become far more important to a lot of us when considering where we go and what we do whilst on holiday. However, many of us get caught out by not taking out additional insurance for dangerous activities and then find ourselves parascending, banana boating or bungee jumping, for example, when we arrive at our destination to find these kinds of activities available. However, little do we realise that if we were to suffer an injury or accident whilst participating in these kinds of simple ‘thrill-seeking’ adventures, our travel insurance may not cover us for these kinds of activities. If you are planning to undertake some kind of sport or activity on holiday that could possibly be deemed as dangerous, it’s crucial that you read through the small print on any insurance policy with regards to dangerous activities very carefully before you sign up to it. Furthermore, it’s important that you know exactly what you’re covered for before you set off as many insurance policies will not allow you to add cover for dangerous sports and activities once you’re at your destination. It’s also worth checking that you’re not purchasing any additional coverage which may not apply to you. Some policies will cost more because they include an airlift evacuation to hospital in the event of a ski-ing accident, for example. However, you might only be intending to do a bungee jump on the beachfront so you may end up paying for more insurance coverage than you actually need. Also, some disreputable insurance companies might try to convince you that you need “extra cover for this and extra cover for that…just in case” but if you’ve no intention of participating in dangerous activities and sports, then don’t pay an extra premium for something you know you won’t use. Also remember that if you have a basic annual travel insurance policy and, therefore, don’t tend to think about the specific nature of the kinds of activities you might get up to on holiday that you might not be covered if you decide to go ski-ing, for example, so it might be necessary to purchase an additional policy to cover you on top of your existing annual travel insurance policy. Many people have been caught out, for example, being covered for ski-ing but not for snowboarding so it’s important to check. Like many formal documents, an insurance policy document can run into numerous pages when all we’re usually concerned about is how much we can claim if our holiday’s cancelled, our flight is late, our bags are lost or we have our wallet or purse stolen and the number to call. We often tend to overlook all the finer details contained in the small print. However, if dangerous sports and activities are going be included on your trip, you should read this section carefully as company policy can vary tremendously between companies and, by not going through this section with a fine tooth comb, something you may have overlooked could turn out costing you thousands of pounds and can ruin your holiday completely. If you’re in any doubt about the ‘small print’ and what it means, make sure you ask the insurance company to explain it to you fully in terms you can understand to ensure that you have adequate insurance cover.